Putting the whole “Ima let you finish, but” thing in the past has really paid off for this singer. Taylor Swift and Kim Kardashian are tied for being the most followed person on Instagram right now, which only proves that being on Kayne West’s good side really pays off. #KanTay2020, anyone? For a hot minute there Swift was actually beating Kim K at having the most followers, but, of course, Kardashian won’t be dethroned that easily. I mean, Instagram is her thing. Even though they are quite different from each other in terms of fashion and overall swagger, Swift and Kardashian are ultra stylish in their own individual ways. Sometimes, they even twin, you guys — especially on Instagram. There’s a reason they are so popular (the most popular, in fact) on the social media platform, after all. From thanking their fans to casually dining with other big-time celebs, these gals post similar snaps from time to time, which probably explains why we love them both so much. See seven times that these ladies have twinned on Instagram. Let's hope that it continues, because everyone loves a good Insta-showdown, am I right? 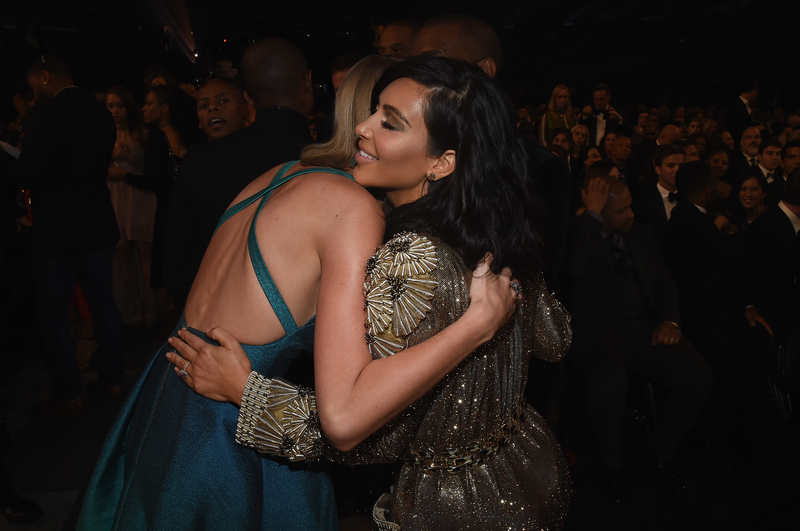 It’s hard to choose a favorite between these two, but let the Swift vs. Kardashian battle begin! Tay looks cute posing with a surprise gift from Yeezy. What else do you do when Kanye gifts you with flowers? They both had the same idea. You know, just casually sipping tea with Serena Williams, NBD. Just an early morning OJ with Lorde. It's worth following these two just to see who they'll hang out with next. No makeup and a kitty to snuggle with. Fresh out of the shower chic. Kim K showcases her pregnant stomach. And so does T. Swift. She thanks her fans in her own special way. But, then again, so does she. T. Swift poses on an airplane ride. And Kardashian takes bathroom selfies. This woman is known for showing off her jewelry on Instagram. Swift also slips some jewelry pics in from time to time, though. They're both so great. Can they just stay tied?